Jorge Antonio Vallejos’s workshop was effectively organized and thought-provoking. He spoke about his own bumpy journey to becoming a writer and the ways he continues to make things happen for himself, because he’s driven by the conviction that the world can and should be a better, more just place for all of us. He also shared some of his literary heroes and their words. When a person starts from such a personal place and talks about the power of stories and poems to change lives, connect with others, and give a sense of hope, it’s impossible not to be inspired. — Emily Pohl-Weary, Toronto novelist, poet, editor and writing instructor. 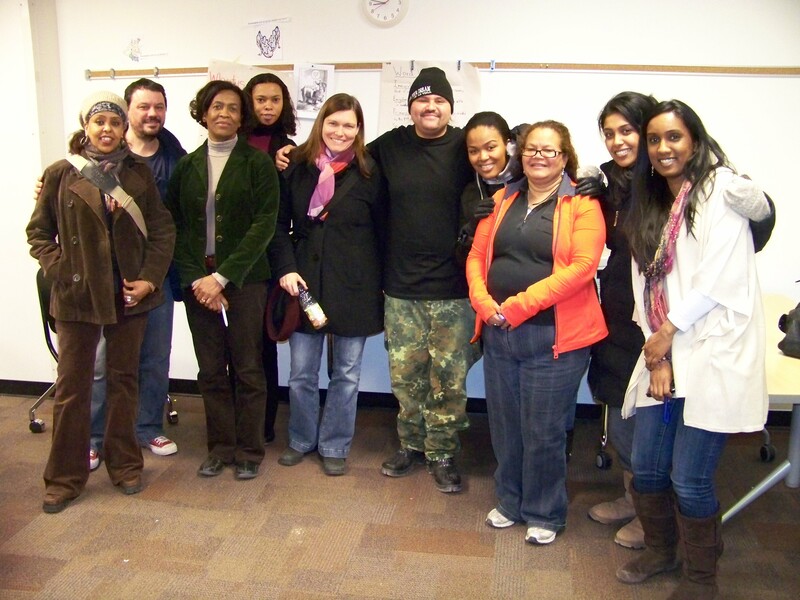 On Thursday February 22, 2011 Jorge Vallejos was invited to speak at the Black Feminist Theory class at OISE/UT. Jorge shared narratives of his life and the multiple ways in which women he referred to as often forgotten has impacted his life. Whether it was his own biological mother, community mothers, or other mothers, Jorge demonstrated through his stories and poetry the ways in which colonialism has influenced his life and the support and nourishment he received from women throughout his life. His narratives reinforced the basic tenets at the centre of Black Feminist worldviews. He showed how the women, including his mother, do Black feminism work in their everyday lives although they did not label it. Jorge’s presentation was deeply rooted in Black feminist thought, and practice, and his talk was brilliant, poignant and relevant to many of our lives.